I took a better look at the mallet handle this morning. 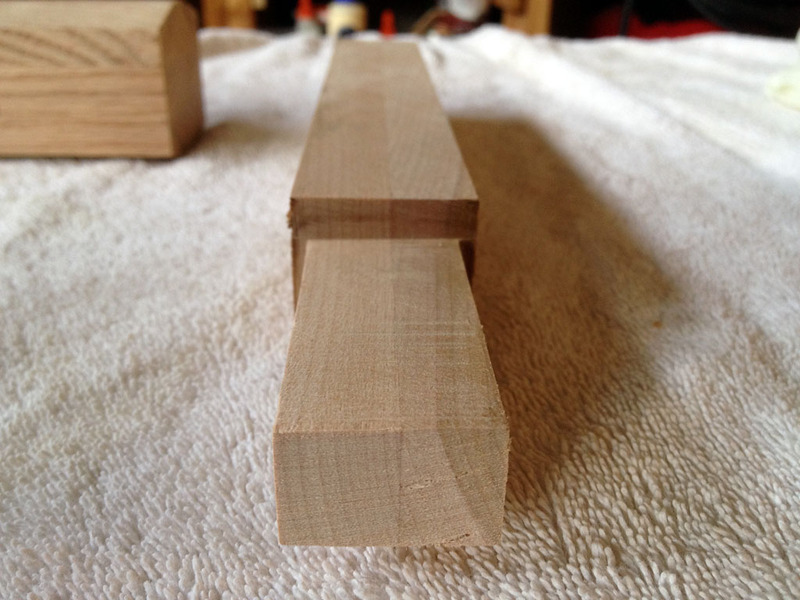 The thicker part of the shoulder is 3/8″ and the thinner part is 1/8″. 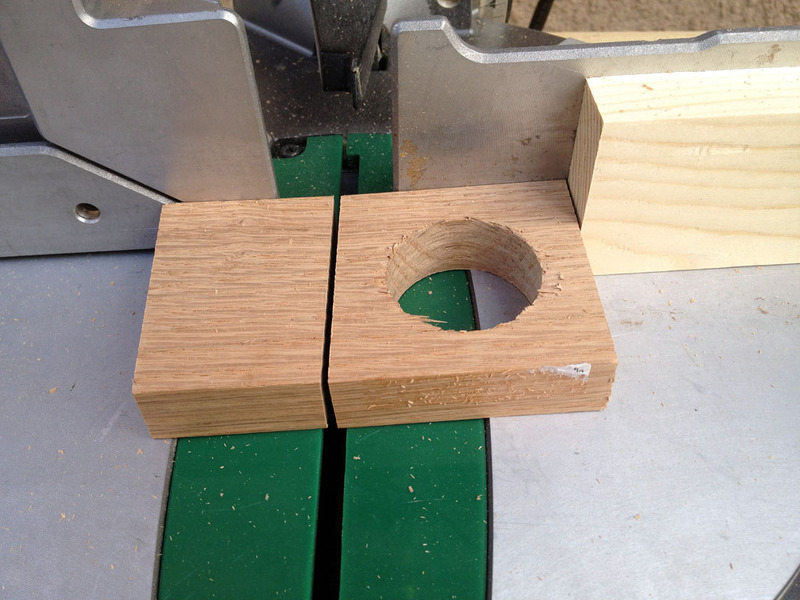 I am thinking that I will run the thicker part through the tablesaw and bring both sides down to 1/8″. I don’t have a bandsaw to cut the sides in to fit my hand better so I am probably going to trim the corners on the router table with a chamfer bit and then just sand the heck out of it with some 60 grit paper. 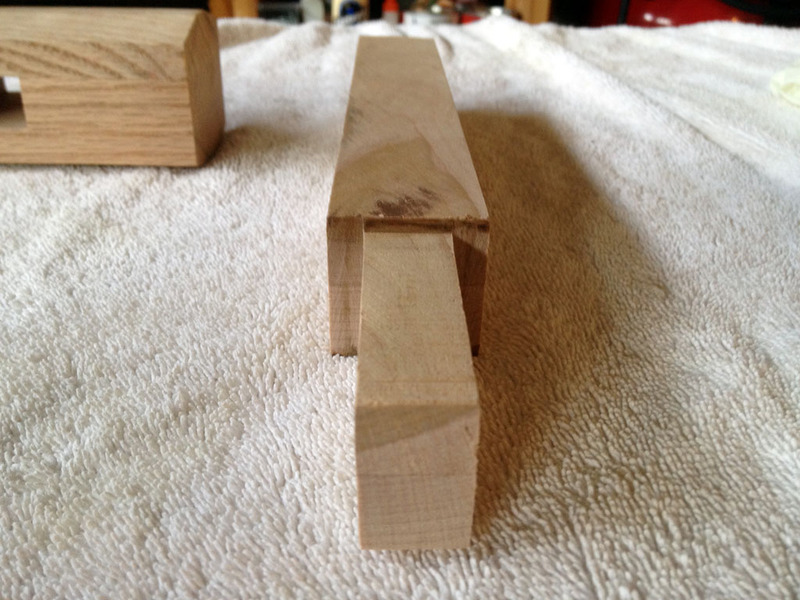 I was also looking through my scraps and found the piece of oak left over from where I put the BBs inside the head. I think that I should be able to make the wedges for the top of the handle from that. 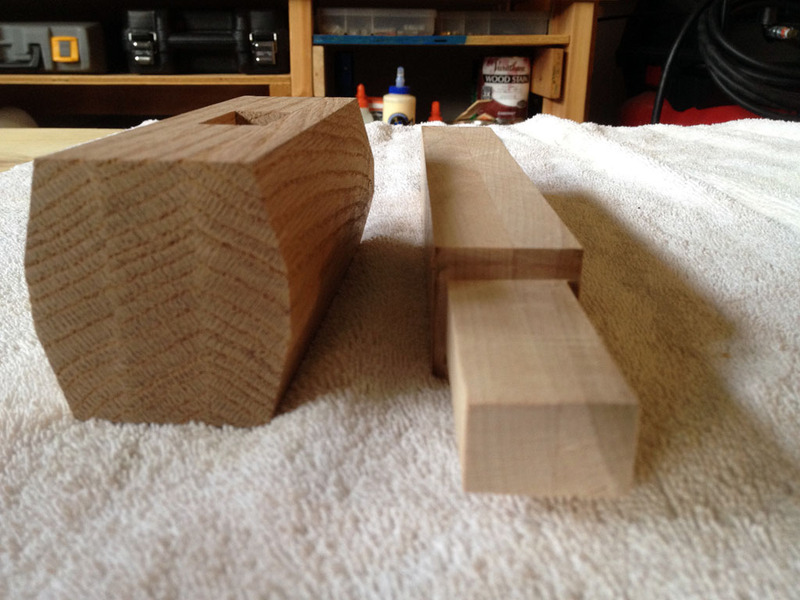 The Mallet is almost done! Finally….